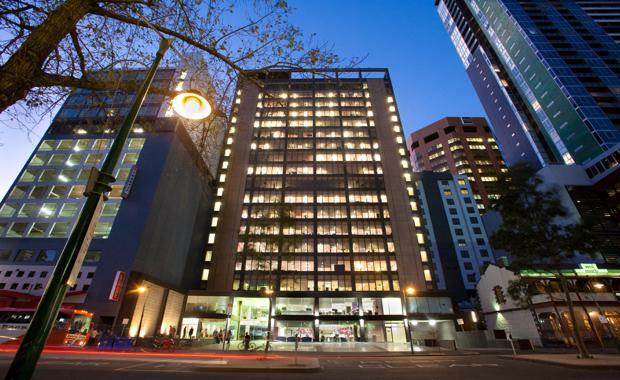 A group of 11 strata office owners across 18 separate contracts in an 18-level Melbourne city office building has sold its collective tower for $51.5million. Colliers International’s Trent Hobart, Daniel Wolman, Matt Stagg and Oliver Hay, along with property manager Melcorp’s Charles Vraca, negotiated the transaction on behalf of the separate owners via an international expressions-of- interest campaign, which closed late last month. The substantial 2,213 square metre site, which comprises an 18-level building with 11,447 square metres net lettable area, sold for $4,500 per square metre in a sign of strength in the Melbourne investment market. The major tenant Salmat is expected to vacate in February, 2017. “It was an extraordinarily rare opportunity to be able to market such a flexible blank canvas in the heart of Melbourne’s thriving education precinct,” Colliers International’s Trent Hobart said. Mr Hobart, who was part of the team that negotiated the transaction, said the building received more than 170 enquiries from parties from all over the globe, including offers from student accommodation developers, hotel developers, schools, universities, residential developers and office investors. “Being right in the epicentre of what will become the most densely populated precinct in the world, and with the major universities and higher education institutions growing at a speculated 20 per cent per annum, this precinct will be undersupplied for office and education uses,” Daniel Wolman added, also part of the transaction team. Mr Hobart said the property presented a major value-add opportunity to the buyer, Lian Beng, a listed company from Singapore. “The company realised the potential of a vacant office building in this precinct, at a time of growing demand in the international education sector and falling yields for commercial offices,” he said. Colliers International has noticed a resurgence in demand from its Singaporean clients in recent months, particularly for value-add and investment properties, after transacting more than $150 million in the past month to Singaporean clients.